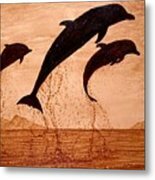 The bond between humans and dolphins is well known. 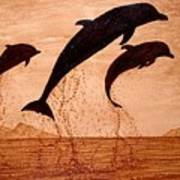 I love dolphins more than others animals. 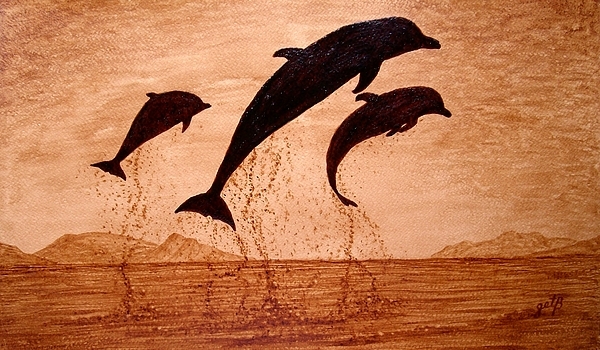 So, I created this sunset with dolphins usind pure, natural coffee to express my love for them. 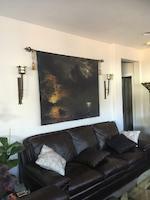 This warm and haromoniuos colors fits well in any place at home or in an office.